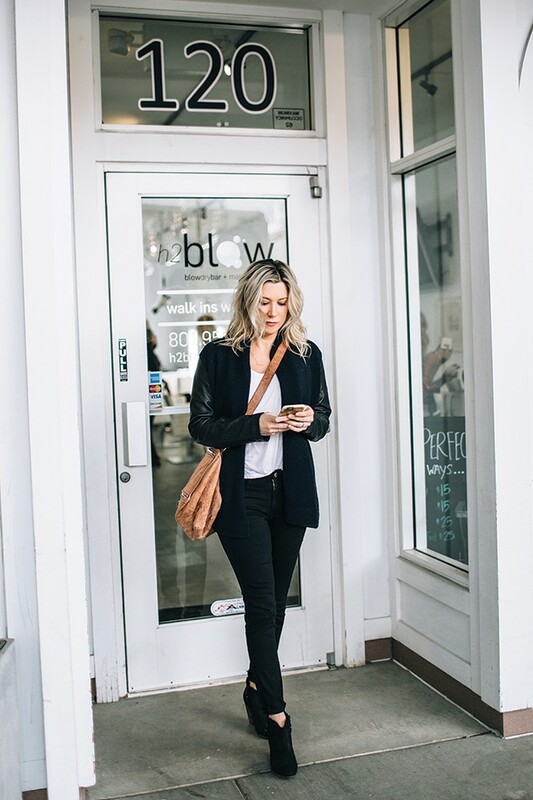 Winter can be brutal on even the most lustrous locks, so if your hair needs a pick-me-up, check out the stylists at H2Blow, a blow-dry bar and makeup salon. Owned by Allison Varner and Meredith Wright, H2Blow opened itsdoors in Foothill Village in July 2013. Varner graduated from Westminster College with a degree in business accounting. She has always wanted to build her own business. She got the idea for H2Blow after visiting The Dry Bar in Scottsdale, Ariz. "I walked in and was in love," Varner explains via email. When Varner returned to Salt Lake City, she ran into her friend Wright at the gym. Wright, a marketing professional, had coincidentally read an article in Forbes magazine about blow-dry bars. "The rest is kind of history," Varner writes. After months of planning, the two self-funded H2Blow. It became the first salon of its kind in the city. For the uninitiated, a blowout is a wash, dry and style, and can usually be accomplished in under 45 minutes. "Full-service salons usually don't like blowouts because they cut into the time when they could take a higher service ticket, such as a cut and color," Varner explains. "We train on blowouts and have the best techniques for making [them] last for days." Wright, who first began getting her hair blown out in 2008 while she was pregnant with her youngest child, considers the process an essential element of her beauty routine. "Until you have had a blowout, you can't understand how drastically it can change a bad day to good," Wright explains via email. Customers catch Wright and Varner's enthusiasm for H2Blow. "I love all of the regular customers and seeing women and girls leave with confidence and a smile ...," Varner writes. Wright also loves running her own business, but she has a word of caution to aspiring entrepreneurs: "Be prepared to live at your business if you open one!" she jokes. In addition to blowouts, H2Blow offers protein treatments for damaged hair, makeup applications, brow waxing and tinting and more. Discounts are offered for multiple services. H2Blow is available for special events. A popular spot for birthday parties and bridal showers, H2Blow will send its stylists to customers' homes for special events. "If you have not been in for a blowout, you are missing out!" Varner writes. "Come in, relax and let us do the rest." Varner and Wright are planning to expand H2Blow and are looking to hire additional stylists. Applicants may email their resumés to info@h2blowdrybar.com.